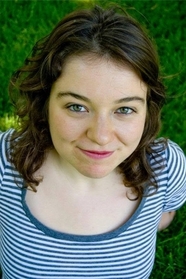 Rebekah Frumkin's fiction and essays have appeared in Granta, McSweeney's, and Best American Nonrequired Reading, among other places. She holds an MFA from the Iowa Writers' Workshop and was the 2014 recipient of the Richard E. Guthrie Memorial Fellowship. She is currently getting her MSJ from the Medill School of Journalism at Northwestern University. The Comedown is her first novel.